A bedroom with a panoramic terrace located in the historical center of the city. 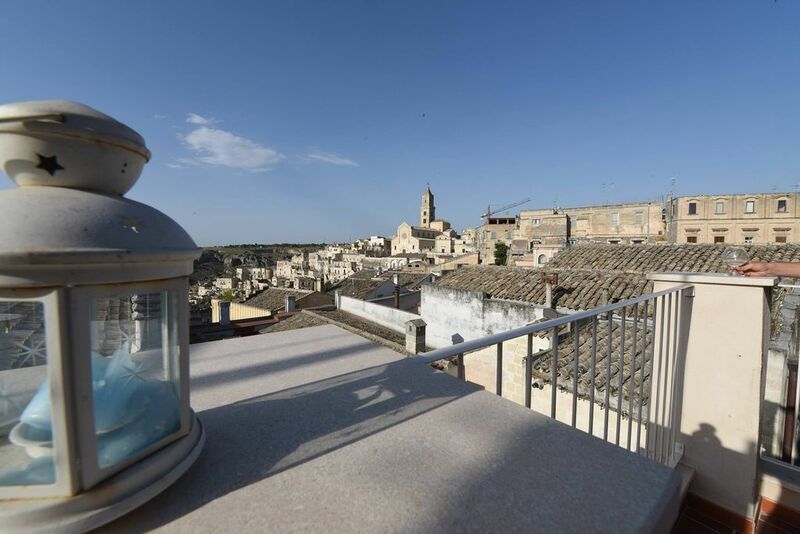 Comfortable to reach on foot, it is ideal for those who want to discover the beauties of the city of the Sassi, for a romantic getaway or a short weekend with friends. The room is included in a three-bedroom complex that can be rented individually or as the only accommodation solution for medium-long stays. Le tariffe sono soggette a modifiche fino alla conferma della prenotazione. Taluni modifiche si basano sul tipo di stanza scelta.